Owing to its dual-band functionality, the DSL-N66U can operate in both 2.4GHz and 5 GHz spectrums. As the 5GHz is much less congested its support allows the device to avoid interference with nearby modems and routers and provide a stable operation. Requires the firmware update for a reliable operation. 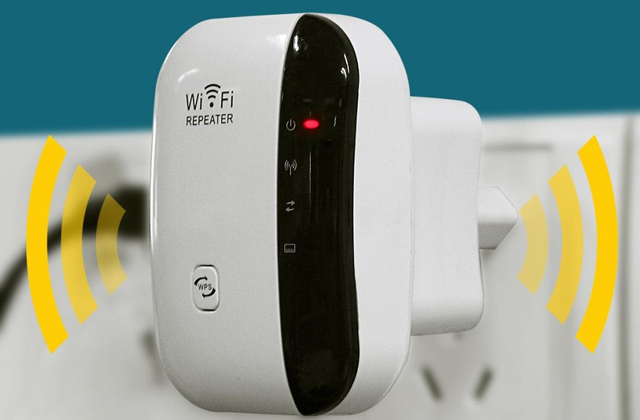 This two-in-one versatile device is not just a DSL/ADSL modem but also a modern high-quality WI-Fi router for wireless and USB devices. 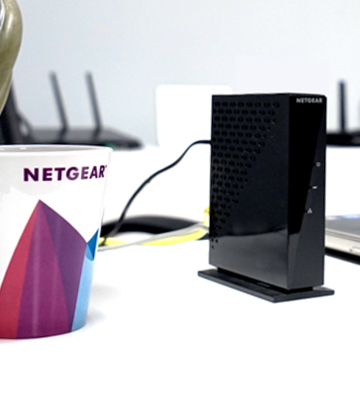 Providing the support for all modern standards of wireless network connection, the device makes a great home server. The main advantages of the TC-7610-E model are its ease of use and high reliability. Due to its focus on simplicity, using the modem does not require any special skills. Does not provide for the firmware upgrade by the user. 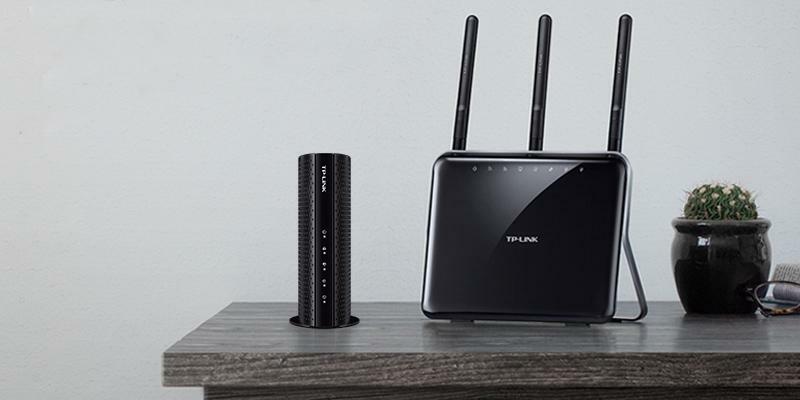 With this model, TP-LINK introduced a device that is compatible with the majority of ISPs offering download connection speeds of more than 440 Mbps. 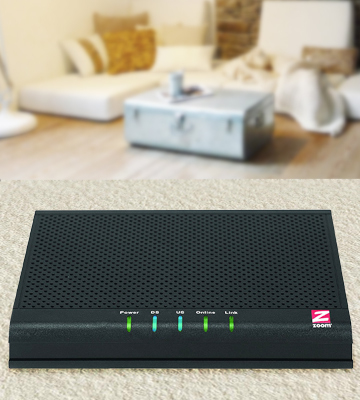 With its simple architecture, the modem offers a great price to quality ratio. The modem offers the Secure Connection-Denial-of-Service (DoS) built-in security solution. 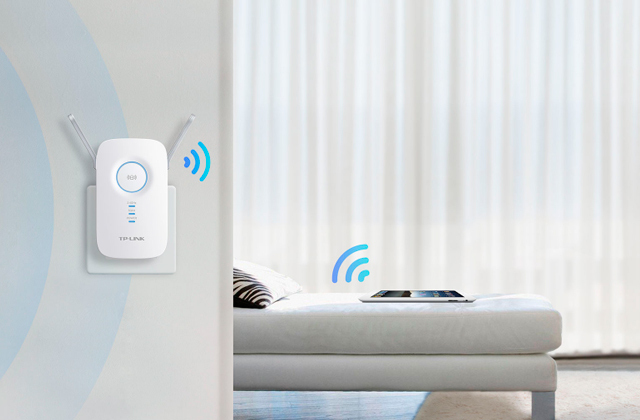 This hardware feature helps protect your home network from possible intrusions and some network attacks. The configuration may be troublesome at first. 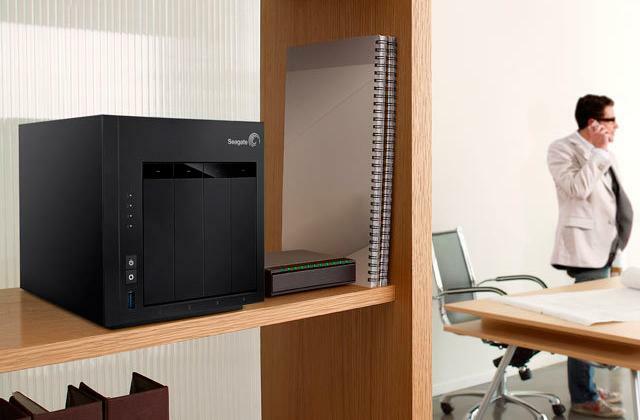 The DM200 ensures a very good compatibility with many ISPs that provide Internet access via an ADSL connection, within the UK. The support for both VDSL and ADSL technologies makes the device an optimal choice for those using phone lines to get online. 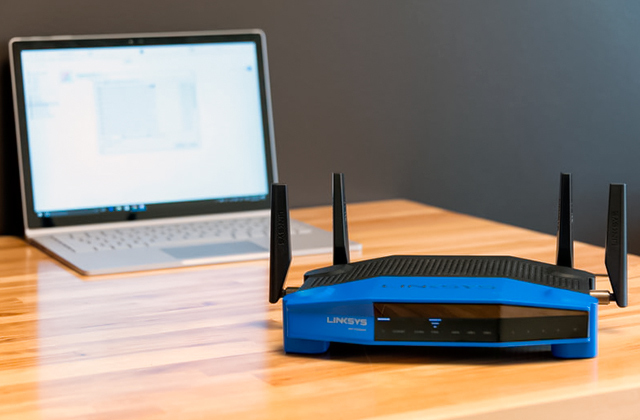 Thanks to the Vectoring technology implementation the device provides an effective suppression of transient interference in VDSL2 networks resulting in a reliable connection. The Vigor 130 architecture with a more transparent bridging provides a more straightforward connection. Does not use a Broadcom chip, which is known for its reliability. Being a very user-friendly modem this DrayTek device does not require any special knowledge to get your Internet connection configured. The entire network configuration for all UK providers is already embedded in the modem firmware. You can use this modem positioned horizontally or vertically when mounted on the special included stand. 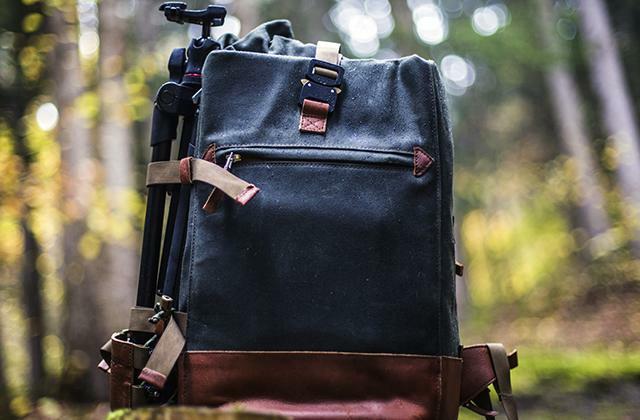 Such versatility allows for an optimal use of the space on your table. Does not work on Virgin Media cable in the UK. For those using the ISP offering an Internet access via the DOCSIS connection, this Zoom modem is a simple and effective solution. The support for DOCSIS 3.0 technology provides you with enough bandwidth for any Internet use scenario. 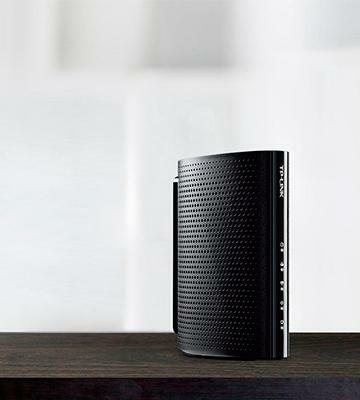 Like a black monolith towering over the plane surface, this Asus modem stands out from many peers. The case of the ASUS DSL-N66U model has a vertical orientation and attaches to a stylish rectangular silver plastic stand. Similar to other cable modems by the famous brand, the rectangular shape case of this device has a grey chequers-like finish with a stripe of black matte plastic on the indicators and controls side. 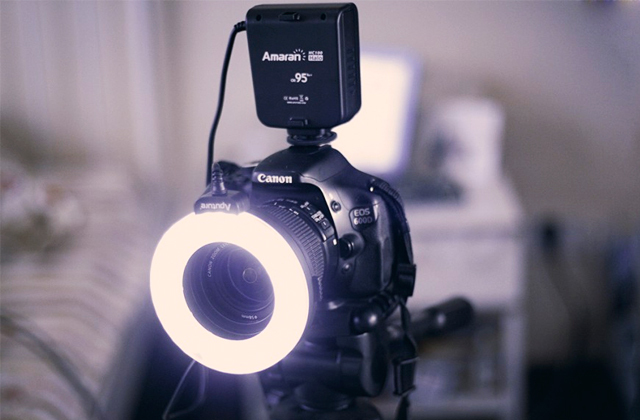 There are seven LEDs aligned along the left end face of the DSL-N66U with two buttons, which include USB, Wi-Fi, DSL connection and power supply indicators. 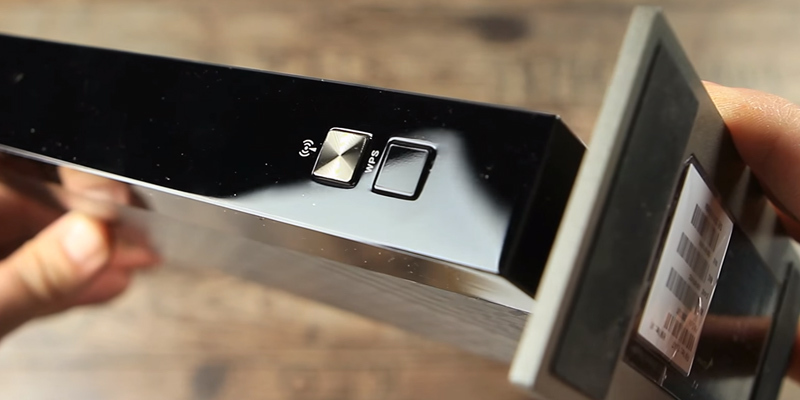 As a result, the modem footprint is minimal and you can place it virtually anywhere on your table or near it and check the connection by taking a brief look at the device. However, the ASUS DSL-N66U is notable not only because of its look and design. 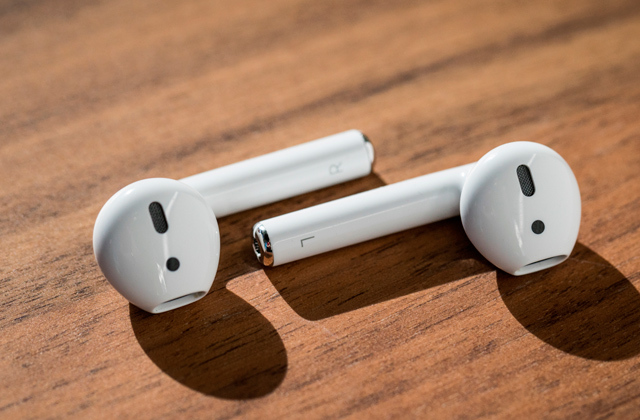 This model provides a rich connectivity with its eight connection ports placed on the back face. Together with a standard set of four LAN downstream ports, there are Ethernet WAN (ADSL) and xDSL upstream ports, which makes it a versatile solution suitable for both ADSL and VDSL Internet service users. With its built-in NAT accelerator, this Asus device can be used as a modem router or a standalone router. This multifunctionality is backed with a high WAN and LAN throughput exceeding the 900Mbps rate. What makes the DSL-N66U even more appealing compared to conventional combined router/modem devices is the addition of two USB ports. The availability of these ports turns the modem into a multi-role server as you can connect such USB-enabled devices as external storages, scanners, MFPs and other to interconnect your devices in a most effective way and share resources across your home or office network. And you can have no worries about the queuing of tasks for the devices connected, as the internal architecture of this Asus multi-feature modem ensures their high-speed concurrent operation. As a cutting-edge device, the DSL-N66U modem with router functionality is equipped with a wireless connection. 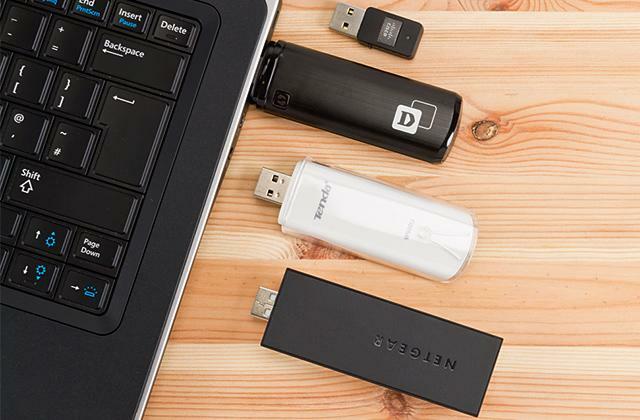 Not only does this piece of equipment offer a dual-band wireless functionality but it also provides a secure connection using the guest network connection feature. This proprietary technology supports up to three wireless networks over the first, 2.4 GHz, band, and the same number of secure networks over the second, 5 GHz, band. On the hardware side, the wireless functionality is provided by a dedicated CPU, which is used together with the first CPU that controls the data exchange via wired connections. This configuration enables a maximum network performance and conflict-free operation of wireless and wired modules. 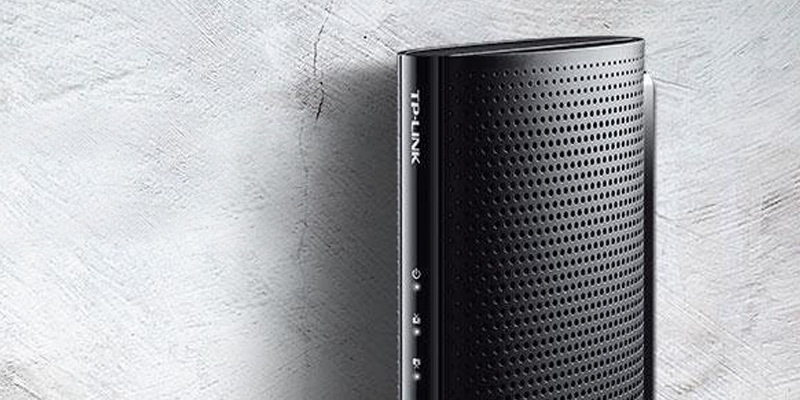 With its modem, TP-LINK gave us another evidence for the possibility of a simple design to look good. Indeed, the elliptic cylinder (cylinder with oval cross-section) shape of the TC-7610-E makes the device practical yet stylish and not utilitarian in design. 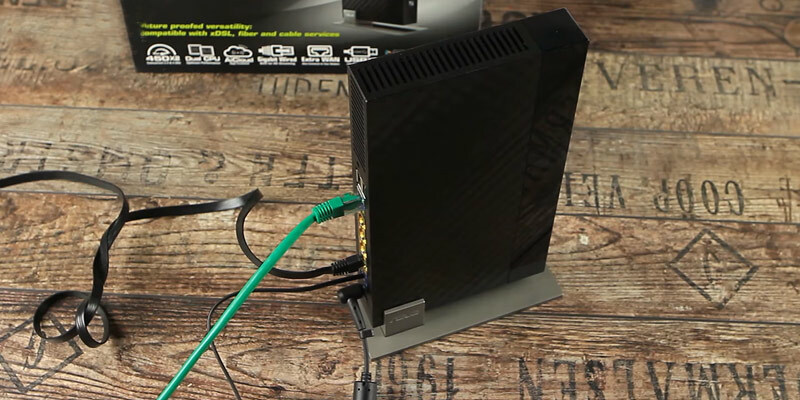 The side and back surfaces of the modem are manufactured from a black matte plastic with the curved side panels covered with air holes. Contrast to the rest of the case, the thin vertical panel on the front is of a glossy plastic, which makes its five LEDs easier to see. There are separate indicators for the incoming and outgoing connections as well as the Internet connection and a digital TV signal. On the modem back panel, there are only cable input and LAN output ports with the power socket below. This configuration makes the device use rather simple as you only need to plug in the cable from the equipment of your DTV and Internet service provider and connect your equipment to the TC-7610-E via a LAN cable. 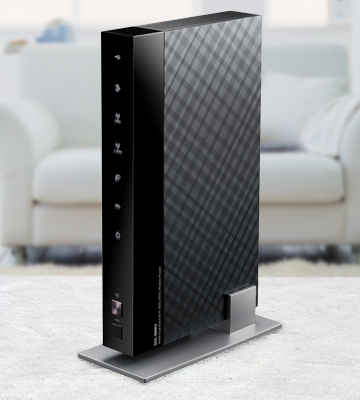 Despite such a minimalistic set of ports, this DOCSIS 3.0 cable modem provides all the benefits of this modern connection standard. With the support of the 3.0 DOCSIS version, which is backward compatible with all the previous protocol versions down to 1.0, this TP-LINK piece of network equipment provides the download speed of more than 400 megabits per second. Such a high speed is enabled owing to the support of eight downstream channels on the TC-7610-E. With that, the upload speed for that model exceeds the 120 megabits per second limit, which is bigger than the total bandwidth for a standard Ethernet connection. Eventually, this modem offers all the basic functionality, which one expects from the device of such type, while the DOCSIS 3.0 support brings a future-proof Internet and digital TV services for the customer. 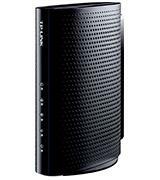 The TC-7610-E is one of the best cable modems for Comcast, Time Warner, and similar services. 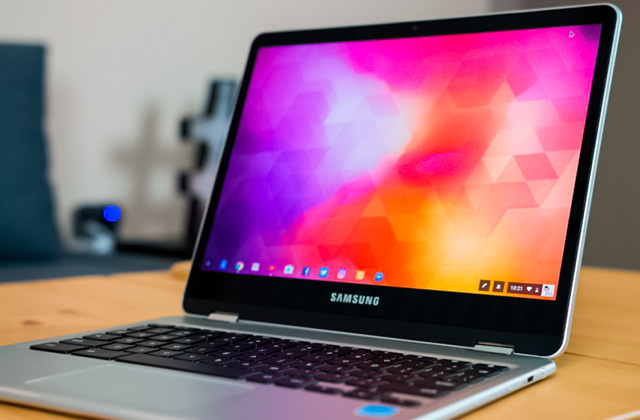 The connection to Comcast does not require any special skills as all you need to do is plug the power cable in, turn on the modem and wait for a few minutes until it boots up and gets detected by Comcast equipment as a new piece of user hardware. After that, the modem takes you to Comcast's self-service page to ask your permission for configuring your modem and the provider equipment and establishing a connection. The whole procedure takes about 10-15 minutes as your modem needs to restart several times while downloading the provisioning files provided by Comcast. And that will be all: you are online. But the most beneficial and interesting part about it is that you do not need to pay monthly fees anymore! 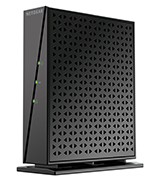 NETGEAR decided to follow the trend of case vertical orientation for modems produced recently as their DM200-100EUS model is manufactured as a compact unit resting on its bottom surface. Made as a monoblock with the stand, the device case has a rectangular parallelepiped or simply a vertically elongated box shape. With its bottom and top surfaces being equal in size and having the smallest area of all the case planes, this model provides a very small footprint. In general, this model has a classic and somewhat straightforward design, which is also true for its front panel with three green LEDs for the power supply, incoming and outgoing connections. As for the back panel ports and controls, it accommodates the power button, LAN output port, and VDSL/ADSL input port, which provide the basic modem functionality. 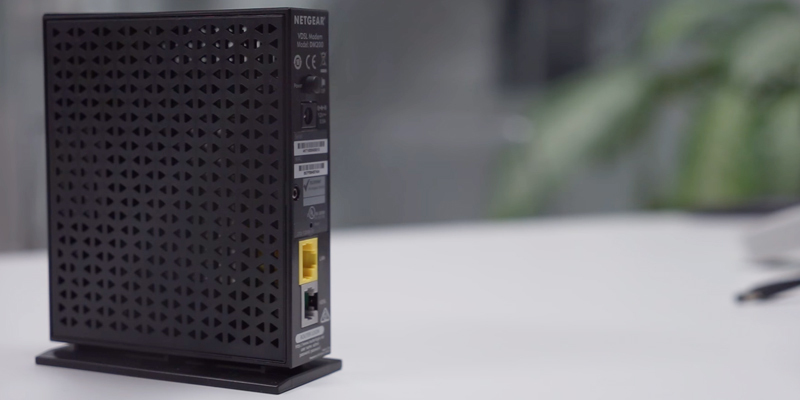 The DM200 model combines a simplicity of connection with a solid network performance. 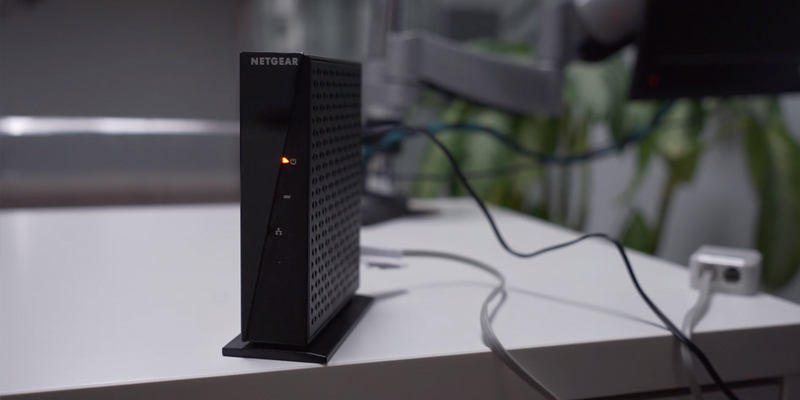 With the VDLS 2 standard support, this modem by NETGEAR provides decent 100 Mbits/s rates for both downstream and upstream connection. In fact, you need to have a stable 25 Mbits/s spare bandwidth continuously delivered by your service provider to watch Full HD and even UHD (4K) video streams smoothly. Thus, the maximum VDSL connection bandwidth supported by this modem is enough for practically any home Internet use scenario. 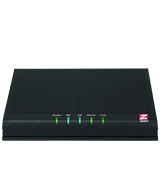 Moreover, the peak connection speed provided by the DM200 allows you to connect several media devices to this modem via a router and comfortably use them simultaneously or alternately for various purposes. In practice, having only one network input port does not reduce the device to supporting one connection standard only. The DM200-100EUS modem is an evidence for this statement being true as in addition to VDSL support it also offers the support for the ADSL2+ standard. Despite a rapid growth of Internet coverage in some residential areas the only option for Internet providers to get their subscribers online is to use the phone line infrastructure, which already exists, even if is obsolete. 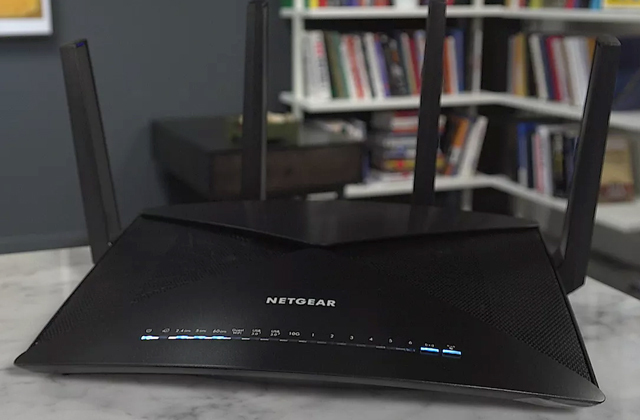 That is why using this NETGEAR modem is a way to go for you if you dwell in such areas, especially when it is not possible to establish an Internet connection using the newer VDSL technology due to the phone line performance. To get online with this modem using the ADSL (as well as VDSL) technology and your telephone line you’ll need to install a splitter on your phone cable. 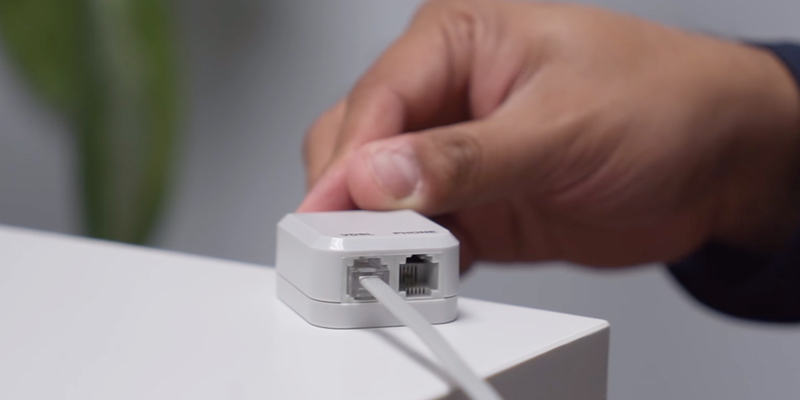 The splitter is a very compact piece of network equipment, which connects to your phone line on the input and provides separate modem and phone outputs. In such a way the splitter “splits” the total line bandwidth between your modem and phone ensuring their concurrent use so that your phone is never busy even when you use the Internet. 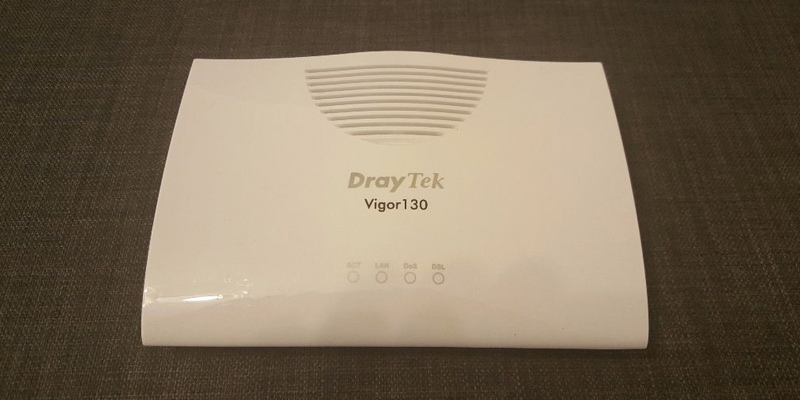 Contrary to the trend of vertical case orientation currently established by manufacturers of modems and routers the DrayTek Vigor 130 was designed with a horizontally positioned case. 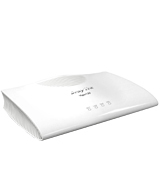 This modem comes in a low-profile case made of glossy white plastic with four LEDs on its top surface. With its sleek design, rounded edges and a stylish ventilation grill in the centre of its top surface, the device has a kind of futuristic look. The grills occupying the whole right and left faces complete the design, which leaves a pleasant impression in general. The ADSL/VDSL line in and LAN out ports and power button are conveniently placed on the modem narrow back panel. 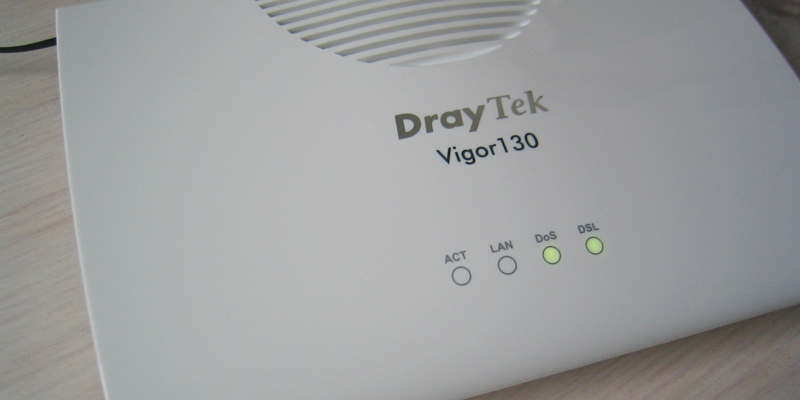 As described by the manufacturer the DrayTek Vigor 130 is a “true” VDSL and ADSL modem with an outgoing Ethernet port. Contrary to many multifunction network devices the 130 model is not a router but a true modem or a bridge. While other Ethernet modems in many cases use workarounds to get a public IP address “through” to your secondary device/client, which requires complicated dual-stage setup (modem logs in and passes the data to a router) and results in a non-standard operation, the Vigor 130 provides your secondary device with a real routed IP connection. Such scheme allows to fully manage the connection greatly facilitating the setup procedure. 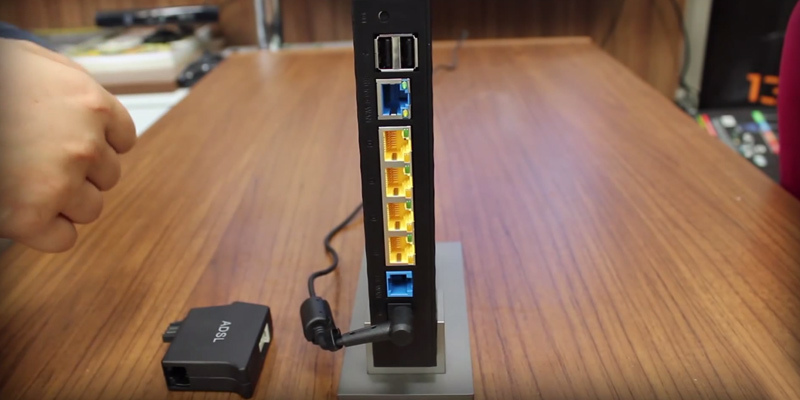 More often than not, the Vigor device itself requires no setup or configuration so you can just plug it in and configure your router, PC or laptop. Note that you enter all login/ISP details on the connected client device, not the Vigor modem. With that, the actual connection to your Internet provider is still PPPoA or PPPoE (depending on your provider and line type). The bridging method implemented in the DrayTek Vigor is also more transparent than that of using a conventional ADSL/VDSL router that automatically performs the login and uses a network address translator (NAT) or multiple public IP addresses to create onward client connections for the devices you hook to it. The case is that the mentioned conventional method is not very sparing in terms of IP addresses granted and may cause secondary NAT compromises or conflicts with various protocols. The Vigor 130 bridge/modem, on the contrary, provides you with a true single public IP address (or multiple addresses), through which the traffic is forwarded straight to your router. 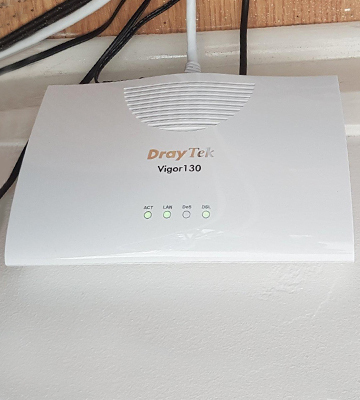 Rest assured you will have no issues with getting online as the Vigor 130 offers compatibility with all current UK VDSL/ADSL technologies. The modem has undergone a thorough testing and tuning to provide you with a stable and reliable DSL connection. Therefore, you can connect any device with a PPPoE client facility including PCs, most Ethernet-WAN routers, Apple Airport/Time Capsule™ products, etc. to the Vigor modem. 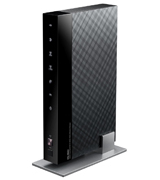 This DOCSIS 3.0 cable modem is a solution that offers versatility in terms of case orientation. Designed as a rectangular box made of black plastic with rounded edges, this model can be positioned horizontally on its bottom as well as mounted vertically using the stand that is included in the package. Almost all of the top surface of this modem developed by Zoom is covered with air holes. On the curved edge of the device upper surface, there are five LEDs notifying the user of the current power supply status, downstream and upstream traffic, online status and linked devices presence. Typical of such devices, the Ethernet LAN output port, coaxial cable input, power socket and power on/off button are grouped on the back panel. Owing to its black matte finish, this Zoom modem blends nicely with the working environment you choose to install it in and looks neutral even on bright surfaces. 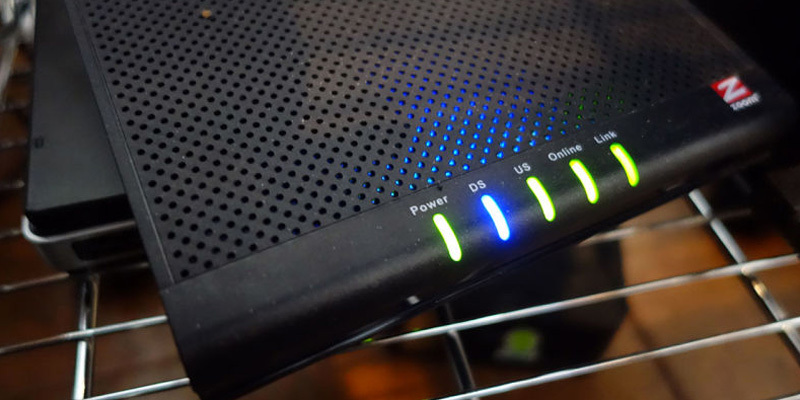 Though the configuration of your DOCSIS modem for going online is made automatically on the provider side, there are some aspects of this procedure you need to know to get it done quickly and with no issues. First, your ISP/cable service provider will need to know the MAC address of your modem and may also need the account number of your cable service. In most cases, you can find the MAC address of your modem printed on a label glued to the modem bottom or back panel. This address is usually specified as RF MAC. With that, your ISP may refer to this as a CM MAC address or as a Cable Modem MAC address. As for the account number, you can learn it from your bill, if for some reason it is not possible you can resort to your service provider by calling and asking them for your account number. This information is required either when ordering a cable modem service or calling the cable company after you have had your modem installed. In some cases, you will need this information when filling out the menu on the account setup page that is shown when you connect your cable modem to your ISP’s network for the first time. Please note that as an additional information the provider may ask for your cable modem's model name and serial number. For this Zoom device, the model is ZOOM 5341-72-00J. The serial number, which is specific for each modem unit, can be found near the MAC address specified on the label. 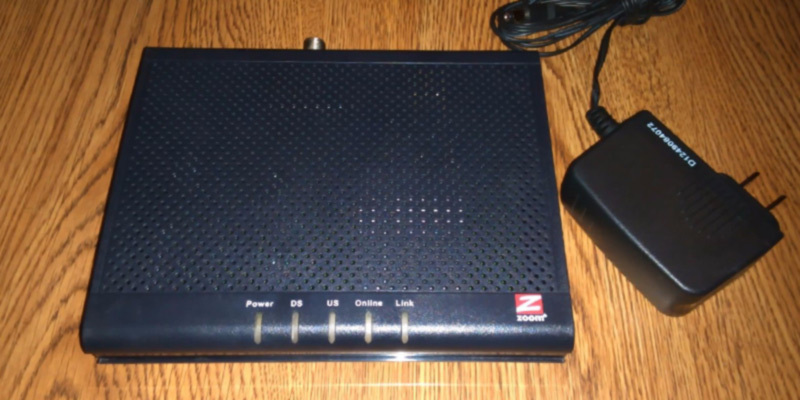 Zoom designed this modem with an advanced Broadcom integrated circuit technology implemented. That is why you can have no worries about the connection stability and high speed. While the former is not an issue for modern modems using the DOCSIS technology, the high download speed is quite relevant. Owing to the support of eight channels for downstream traffic and four channels for upstream traffic, this Zoom model allows you to get the most out of the Internet service your provider delivers in terms of speed. The key to the effective use of modern digital data storage and processing devices is an adequate communication and data exchange between them. It is well-known that the most powerful, commonly used and convenient digital communication platform is the Internet. However, establishing an Internet connection requires specialized hardware as there are several ways of data transmission over the global network each utilizing its own physical carrier, transmission method, and protocols. A cable modem is a specific instance of a modem (modulator/demodulator) device that uses cables for sending and receiving digital signals and thus data exchange with all the other devices connected to the same local network or the Internet. The modem devices use modern high-bandwidth hybrid fibre-coaxial (HFC), coaxial cable or telephone network connection to provide bi-directional data communication with the equipment of the Internet service provider (cable modem termination system). Owing to its high bandwidth that allows a simultaneous transmission of TV broadcasting and Internet data, the HFC connection is widely used by many digital cable TV and Internet service providers. Such modems perform the digital data exchange via radio frequency channels on a hybrid fibre-coaxial and radio frequency over glass (RFoG) connection. In case of using a telephone network, modern modems use digital subscriber line (DSL) data communications technology or its asymmetric variant (ADSL). The utilization of DSL technology enables a significantly faster data transmission over old copper telephone lines than a conventional and now obsolete voiceband modem could provide, while the ADSL enables offering a greater bandwidth for data transmission towards a customer (downstream) than from the customer to the network (upstream) owing to its asymmetric architecture. The data communication technologies and standards supported by the modem actually govern its maximum data transmission rates. 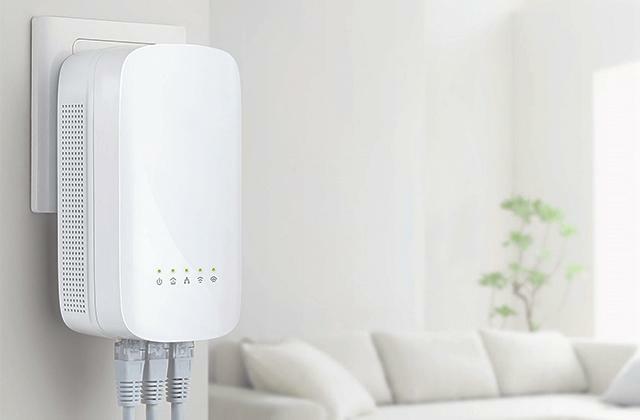 For example, the latest iteration of the asymmetrical digital subscriber line standard supported by the vast majority of modems today, ADSL2+, enables up to 24 Mbps downstream and up to 3.3 Mbps upstream rates. With that, the more recent DSL-based technology called Very-high-bit-rate digital subscriber line (VDSL) offers up to 100 Mbps downstream and upstream rates for the VDSL2 version. The newest VDSL version, VDSL2-Vplus, which was approved at the end of 2015, provides up to 300 Mbps downstream rates. However, VDSL2 and VDSL2-Vplus support is not commonly seen in even the newest models of modems for a cable Internet access due to the DOCSIS support. The Data Over Cable Service Interface Specification or DOCSIS for short provides a tremendous downstream capacity of 10Gbps and up to 1 Gbps upstream bandwidth for its latest 3.1 implementation and even more impressive 10Gbps upstream rate for its 3.1 Full duplex version. Owing to its high data exchange rates and the feature that allows adding a high-bandwidth data transfer to existing cable TV lines the DOCSIS is the most promising cable technology for today. Therefore, we recommend checking the DOCSIS support when considering the modem. Since an Internet access to residential areas is provided by different Internet service providers, it is important to determine if your modem is compatible with the network and services of a certain provider. We recommend checking the list of Internet providers available in your area and see if the modem you are considering is supported by at least one of these providers. To get the most reliable network and Internet experience your modem needs to be certified by the provider, which services you’re going to use. While the communication protocols supported by the modem help you see general limitations of data transfer speeds from and to the provider equipment (or theoretical speed maximums), specified data rates give you more details about the modem performance in terms of data exchange with the devices connected on your side. As you may opt to use a wireless cable modem for accessing the Internet from your home devices via a Wi-Fi connection or a modem with a wired router (or a model offering both wireless and wired connectivity) functionality the rates of data exchange with the devices connected differs from one modem model to another. The data rates depend on the number of data transmission and reception channels with higher data rates provided by models supporting a larger number of such channels (4 and more). As a rule, the data rates vary from several dozens of megabits per second (Mbps) to several hundred Mbps or even several gigabits per second (Gbps). Before deciding on a specific modem we also recommend learning about the number and type of connection ports available. 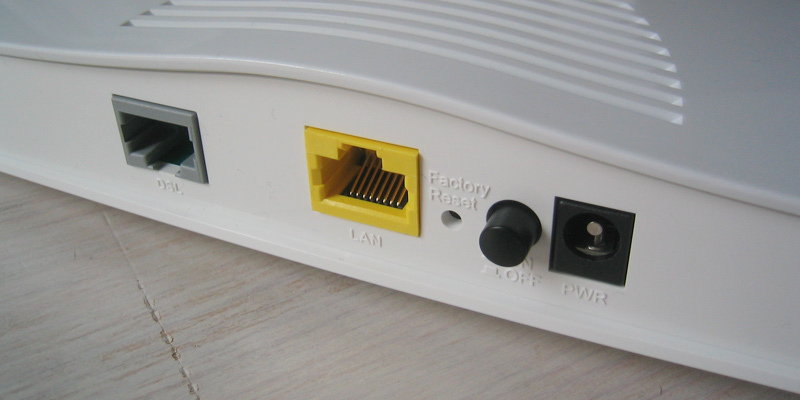 For the input from the provider network, ADSL/VDSL modems use a standard Ethernet RJ-45 port while a coaxial RF input port is used for an HFC hybrid connection. With that, manufacturers equip their models with various wired output options usually consisting of one or several RJ-45 or USB ports. 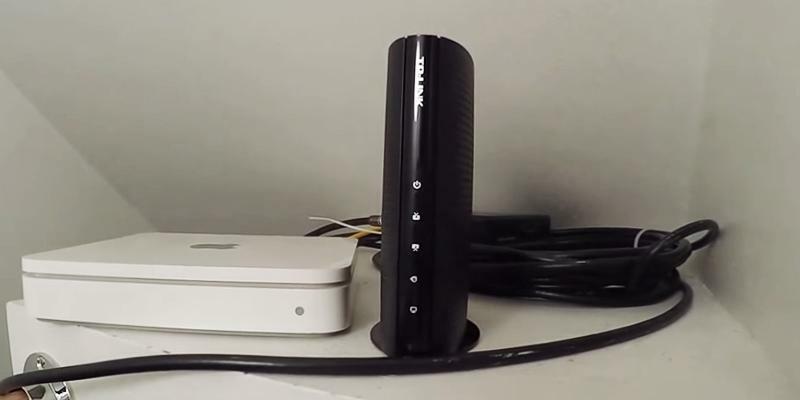 We recommend to figure out how many wired or wireless devices you are going to pair with your modem before giving preference to a certain model not to run out of spare connection ports on your modem in the future. Last but not the least aspect worth paying attention to are controls and LEDs of the modem. Control buttons allow resetting the device or enabling and disabling its functions, for example, wireless connection. The LED indicators show available connections, such as incoming Internet (WAN) and outgoing LAN connection so that you can detect a possible cause of a connection failure. Q: There are cable modems that support VDSL and ADSL technologies, what is the difference between the two? A: As for the socket and pinout, the VDSL and ADSL standards are identical and usually supported both by a single device they differ in terms of the underlying technology. Both standards were designed to utilise your phone line to provide an access to the Internet using a broadband connection so you can have your phone line always free (using a splitter). The difference between the two technologies for the user is in the maximum connection speed. While the latest ADSL iteration (ADSL2+ Annex M) is capped at 24.0 Mbit/s for downstream traffic and 3.3 Mbit/s for the upstream, the more recent VDSL version (VDSL2-Vplus) provides up to 300 Mbit/s and 100 Mbit/s for the downstream and upstream connection respectively. The actual data rate decreases proportionally to the distance between the user modem and ISP’s equipment for both technologies. However, the VDSL is still significantly faster than the outdated ADSL and we recommend seeking for the modem model, which supports it (the support is usually mentioned in the modem specifications). Q: Are there any other than ADSL/VDSL connection technologies supported by cable modems? A: Yes, modern modems also support the connection DOCSIS technology. As distinct from the ADSL/VDSL technologies, the DOCSIS uses a TV cable to provide an Internet access. Being a cutting-edge cable technology the DOCSIS 3.1 introduced in 2016 offers the groundbreaking 10 Gbit/s downstream and 1 Gbit/s upstream maximum capacities much exceeding the DSL peak data rates. The peculiarity of the DOCSIS is that it uses several channels (usually 8 for downstream and 4 for upstream connection) to establish the connection that is why you need to figure out how many channels the modem you consider supports. The more channels it supports the higher the speed you’ll get. Q: What is the difference between various modems functionality wise? A: Though some modems operate as modems only with one input and one output connection ports available, there are many models that offer a combined modem/router functionality. 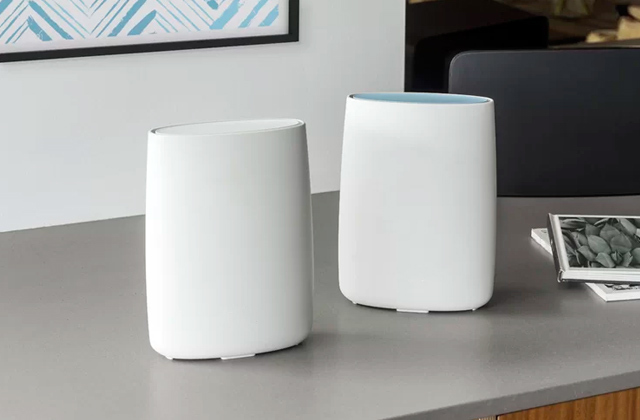 With that, router modems may provide wired (Ethernet), wireless (Wi-Fi) connection with your devices or both. Q: What is the difference between cable modems in terms of data rate? 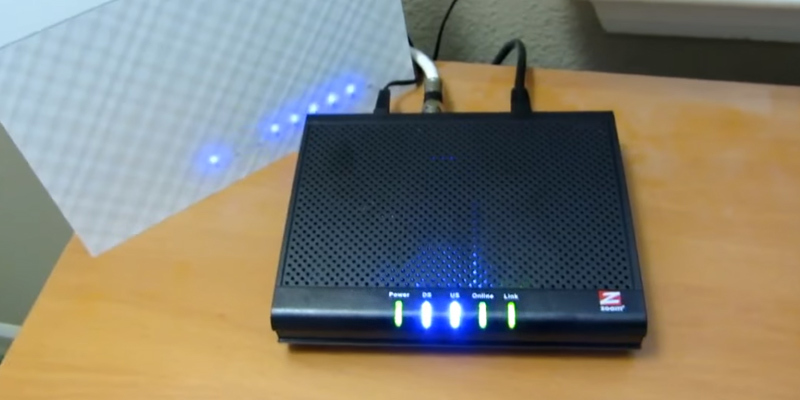 A: It is obvious that the support of a certain standard for an Internet access directly influences the modem maximum speed of connection to the ISP equipment. However, there is an important factor of maximum speed provided for the data exchange between the modem and connected user devices. The support of 1 Gbit/s bandwidth for a downstream Internet connection by your modem does not necessarily mean you can enjoy such a speed when the modem sends and receives data to and from your connected devices. Aside from the necessity of connected devices to support such speeds, your modem needs to provide the given data transfer rates for the modem-device connection. Modem-device data transfer speeds depend on the connection type (wired, wireless) and vary with the modem model. Please, check your modem specifications for the detailed info. 1. Choosing the Right Cable Modem, Cox. August 19, 2016. 2. DOCSIS, Wikipedia. July 27, 2016. 3. Chris Hoffman Buy Your Cable Modem Instead of Renting It to Save $120 Per Year, How-To Geek. January 2, 2015. 4. Gabriele Sturmer How Do I Choose the Best Cable Modem Router? wiseGEEK. August 16, 2016. 5. Cable modem, Wikipedia. August 3, 2016. 6. How do Cable Modems Work, Harvey Mudd College. 7. Curt Franklin How Cable Modems Work, HowStuffWorks. September 27, 2016. 8. Dong Ngo Home networking explained, part 8: Cable modem shopping tips, CNET. December 22, 2015. 9. Marshall Honorof, Jill Scharr Your Guide to Cable TV Cord-Cutting, Tom's Guide. July 12, 2016. 10. Stacy Jones Cost of cable TV vs. Internet streaming, Bankrate. November 24, 2014.